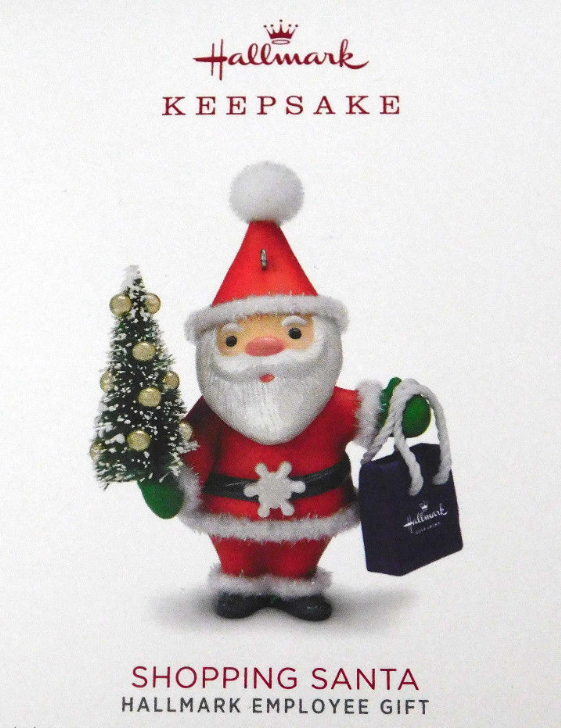 A sweet Santa with a nostalgic look carries that distinctive purple bag that we all know and love. I saw this on a friend's tree and had to have it!! So cute! And your shipping is incredibly fast! Thanks! This is such a cute ornament. Santa has a very pleasant look on his face. I am glad Hallmark makes such ornaments as a way to say thank you to their employees for all their hard work.